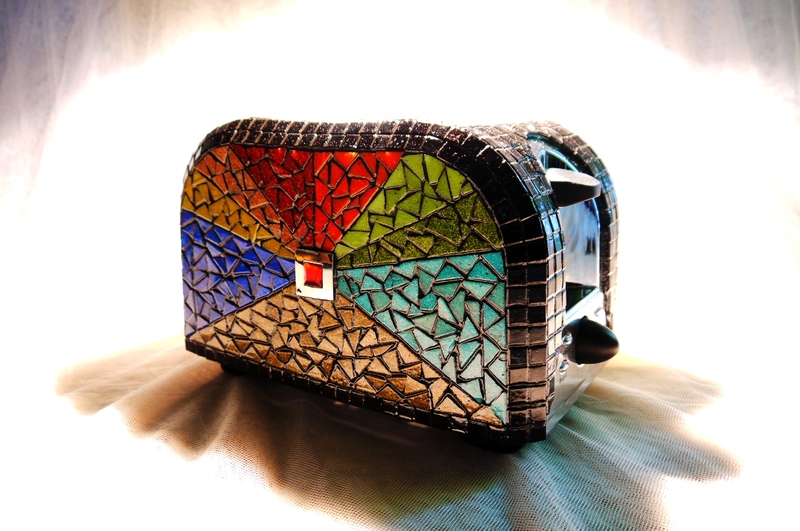 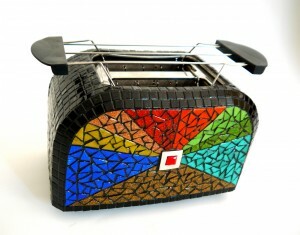 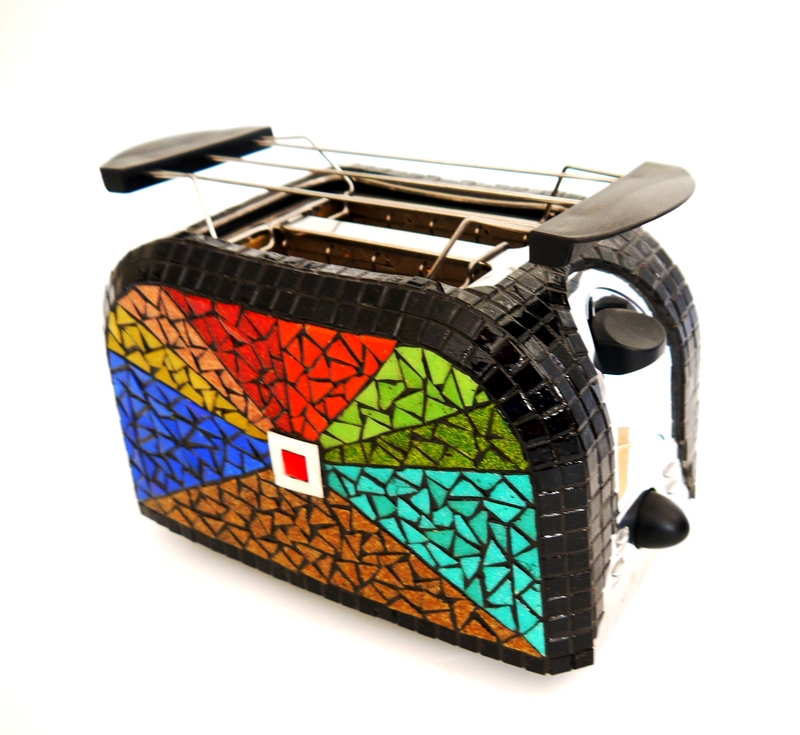 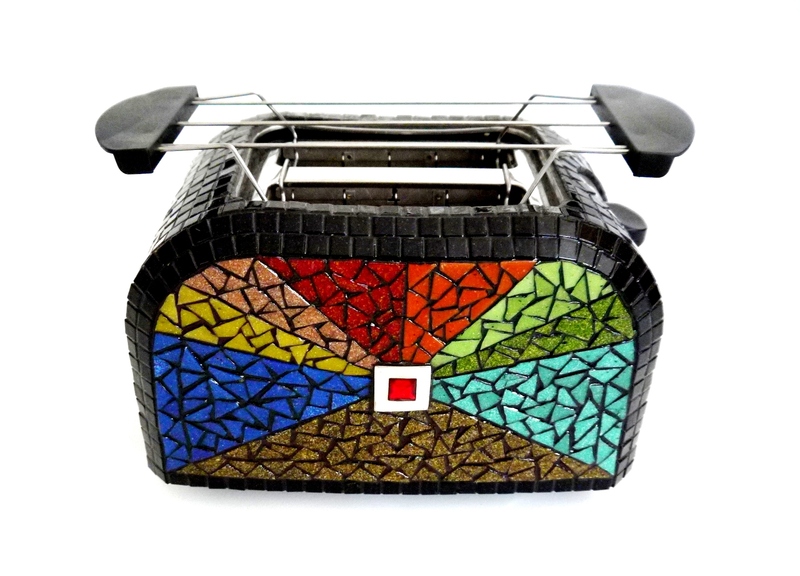 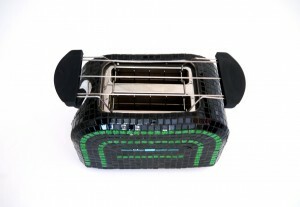 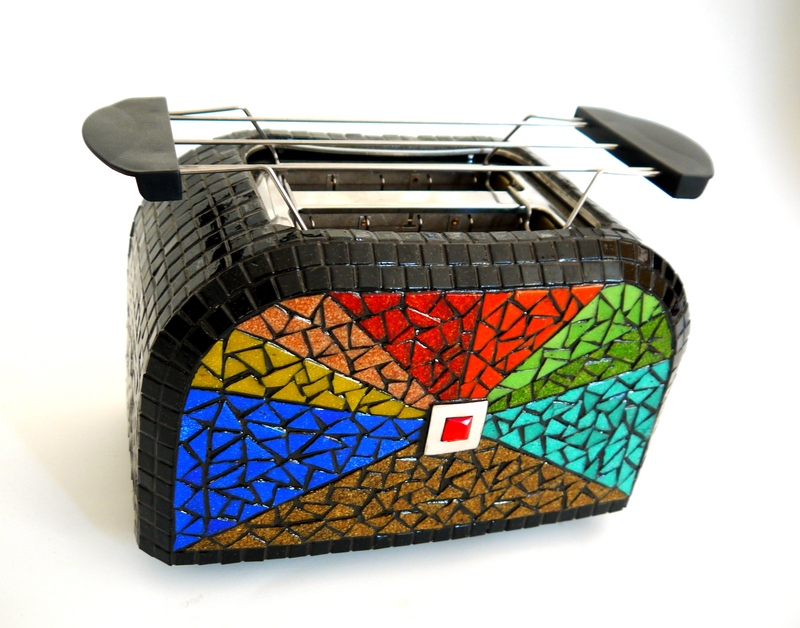 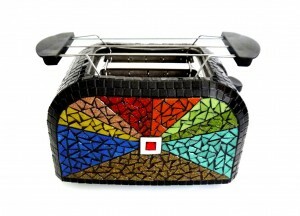 Brandnew toaster with colorful handmade glass mosaics decoration. 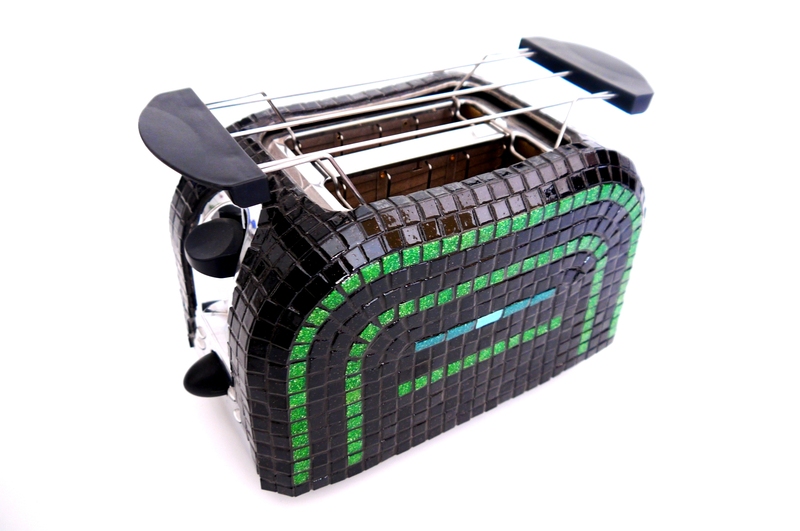 An unique accessory for the kitchen. The mosaic decoration is very durable, doesn’t effect the proper working of the toaster.